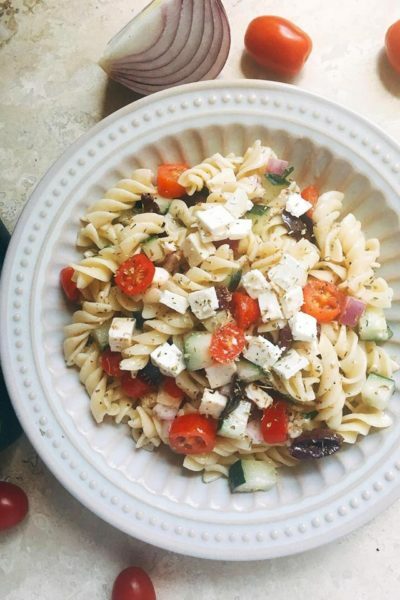 I love cooking, but I have been in some serious need of new ideas for fast and easy dinners. 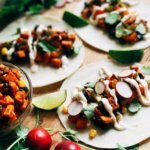 Southwest Chipotle Sweet Potato Tacos are perfect for just that, even though they taste and look like they took much longer! Isn’t my new cutting board amazing??? My sister and brother-in-law had it made for me for my birthday this year. I have been anxiously waiting to use it and you can bet it will be making quite a few appearances. Obsessed. As you might have noticed by now, I love making Mexican food. And I love using chipotle peppers in adobo sauce for so many dishes. The smoky, savory flavor is just perfect! 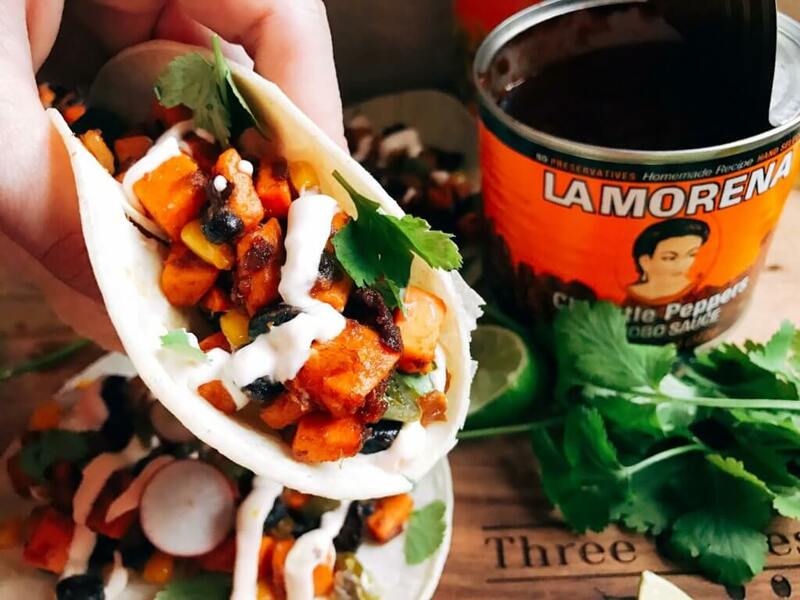 LA MORENA® brand is great because you can depend on them to use high quality peppers and other trusted ingredients for a delicious meal. There are so many great ways to use their products, even in seafood or vegetarian dishes like this one! 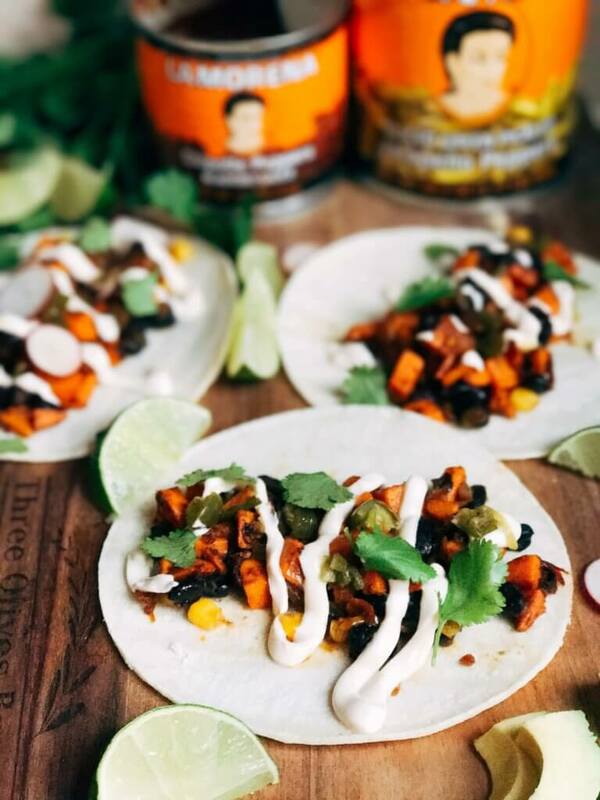 I seriously love using the sauce and the peppers themselves in so many ways, just like with these Southwest Chipotle Sweet Potato Tacos. It is a distinct, smoky flavor that is perfect in Latin and Mexican cooking. 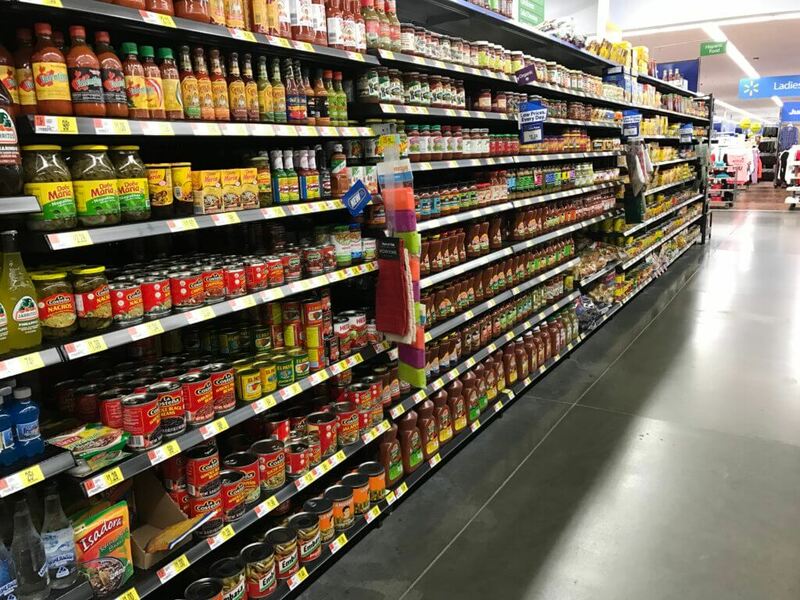 You can find it at your local Walmart in the Hispanic section. 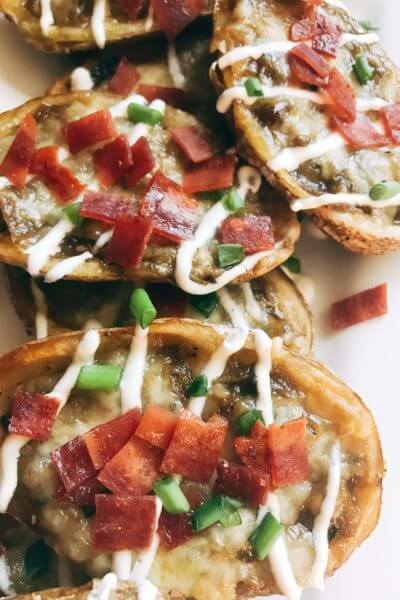 If you eat a meatless diet, or even if you are trying to cut back on meat such as for Lent season, the LA MORENA® are a great way to bring family together over a fantastic meal. 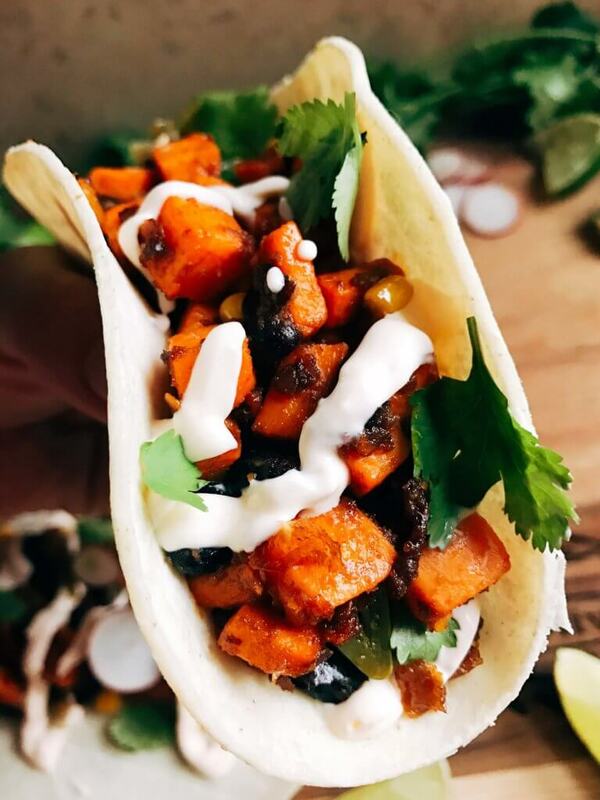 Dishes like these Southwest Chipotle Sweet Potato Tacos are so packed full of flavor, the meat lovers will be satisfied! You can learn more about their products here and find a lot of other great recipe ideas at this site. 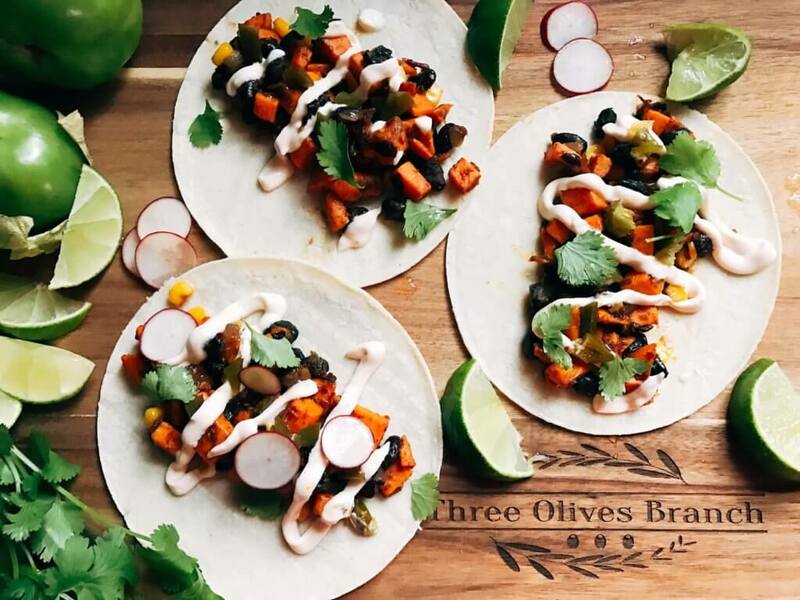 One of my favorite things about these tacos is how amazingly fast they are to make! They look a-ma-zing, and taste a-ma-zing, but are ready in less than 30 minutes. Perfect for those busy nights, Taco Tuesdays, and everything in between. 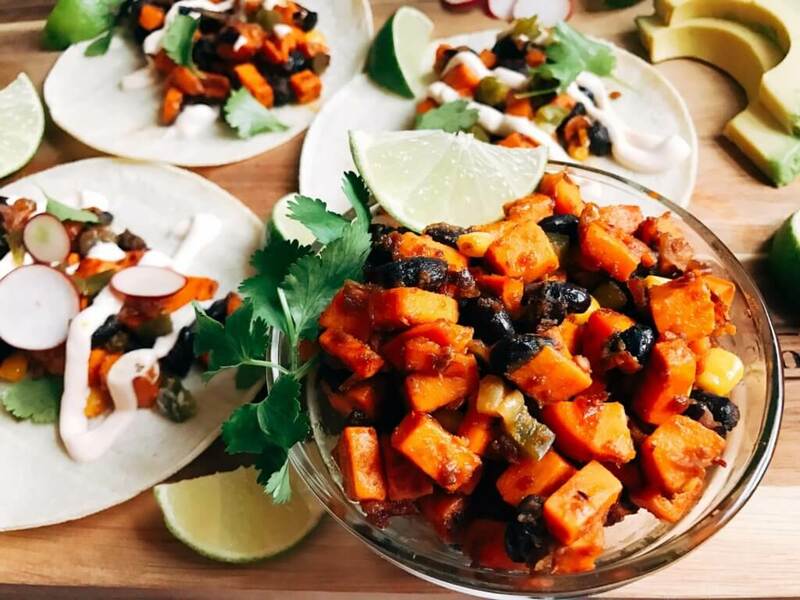 Just chop the sweet potatoes, and sautee the veggies and spices together in a large nonstick skillet over medium-low heat for 12-15 minutes. Once the potatoes are tender, you are ready to go! 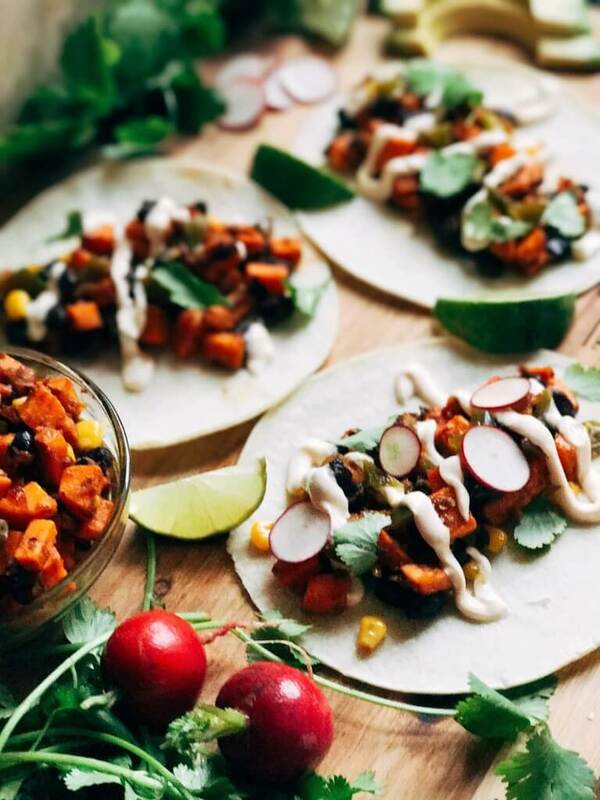 Scoop the mixture into tortillas, top with your favorite toppings (like LA MORENA® pickled jalapenos or chopped chipotle peppers in adobo) and you are ready to eat! This mixture would also make a great lunch the next day. Honestly, I could just eat the sweet potato filling with a fork. That will probably be happening tomorrow. Add the onion and cook until translucent, approximately 2-3 minutes. Add the sweet potato, cumin, garlic powder, and chipotle in adobo sauce. Stir to combine. Reduce heat to medium low and sautee until the sweet potatoes are tender, approximately 12-15 minutes. Stir in the corn, black beans, chopped chipotles in adobo, and pickled jalapenos. Stir to combine. Season to taste with salt and spices as desired. 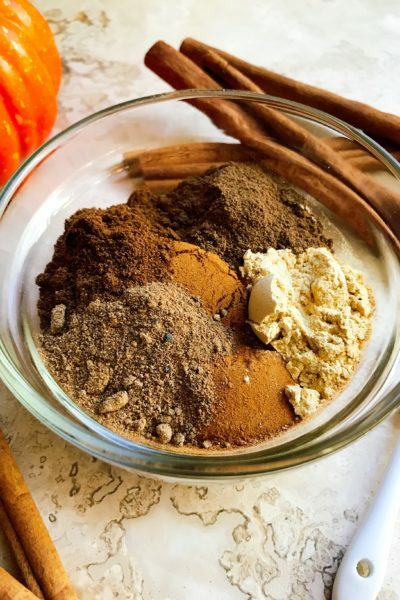 Mix the chipotle cream ingredients together in a small bowl if using and serve alongside the tacos. 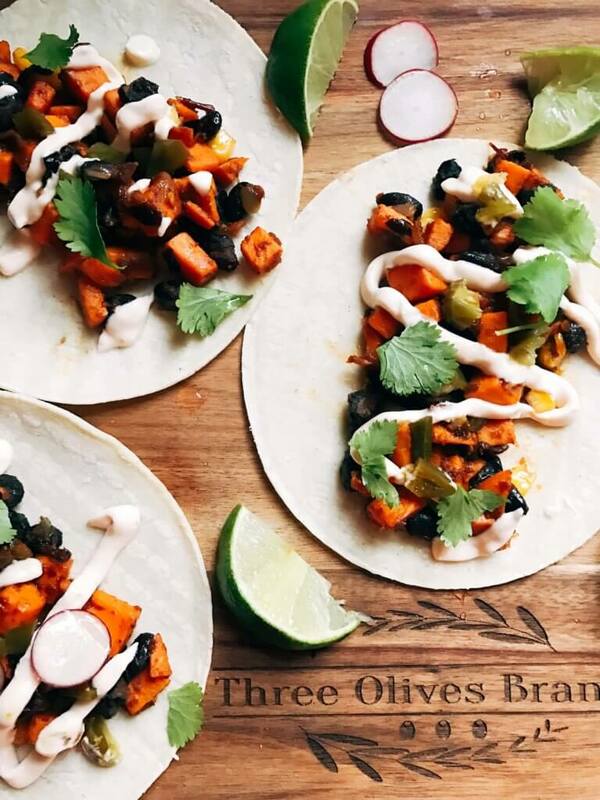 Serve the sweet potato mixture in tortilla shells with toppings of choice. Here are some of my favorite toppings for tacos: cilantro, lime wedges, sour cream, radish slices, cotija cheese, jalapenos, salsa. For the chipotle in adobos, you can just scoop out the sauce that the peppers are in for this recipe. Add some chopped up peppers themselves for more heat or save for another recipe. 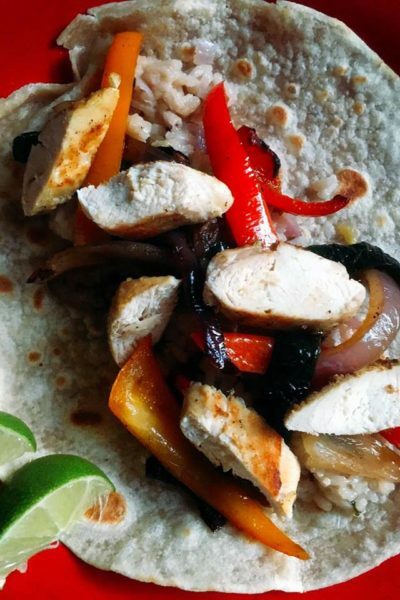 This recipe makes approximately 8 tacos, or 4 overly stuffed tacos. Season your tacos to taste with salt and additional spices. Adjust ratios of black beans, corn, and sweet potato to preference. I’m going to have to make these now for the family, they look just amazing! Thank you for sharing this with me I’ll be sure to try! l love tacos like this, they look so good and fresh! I would definitely polish off a few of those. I love using sweet potatoes instead of regular potatoes – they are SO nutritious! Love this taco! I understand the veggie struggle! I’m hoping to get a few other veggie ideas and options up as well, so be sure to swing by again! 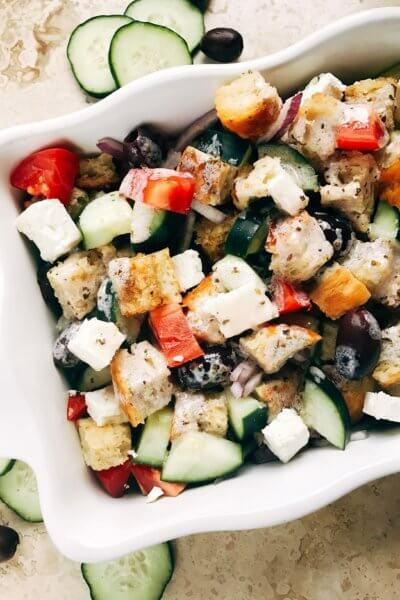 This is a delicious recipe for dinner. I love sweet potatoes, and I would love to try this. Thanks for sharing it. Nice touch with the spicy sweet potato. This is going to become a household favorite! OMG these looks amazzzing! 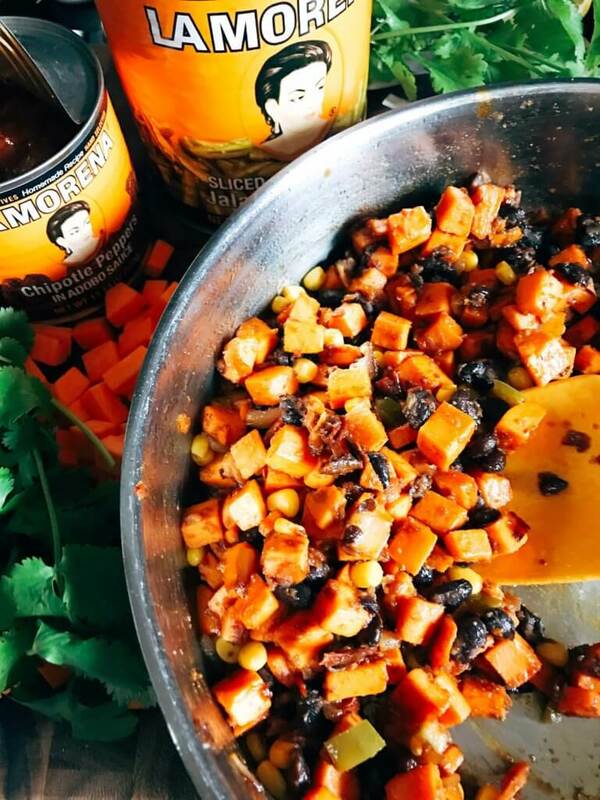 Sweet potatoes and black beans together is a match made in heaven! Thank you, Dominique! They really are perfect together! Hurray for veggie tacos!! 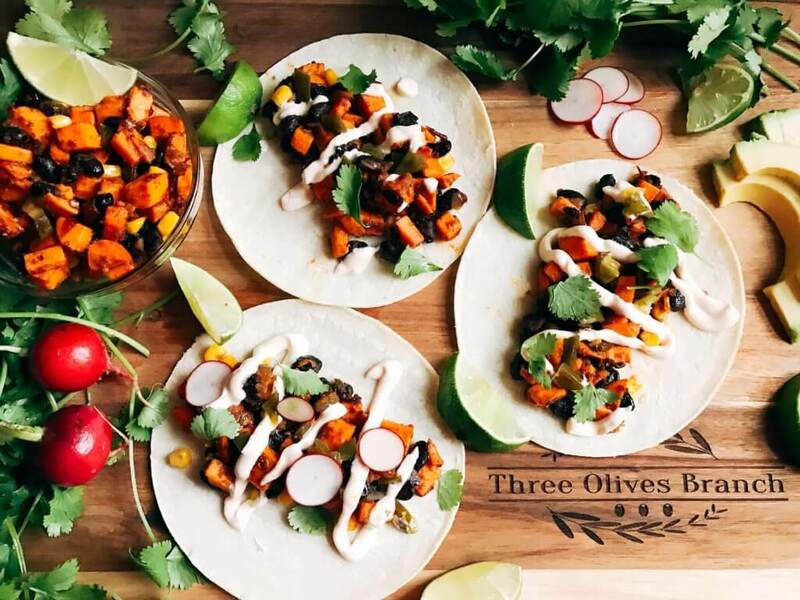 I love tacos and sometimes it’s hard to find good vegetarian fillings. These sound delicious and I can’t wait to try them! I also love that your recipes have a metric option, many times I have to spend so much time figuring out the conversions for recipes. Love it!